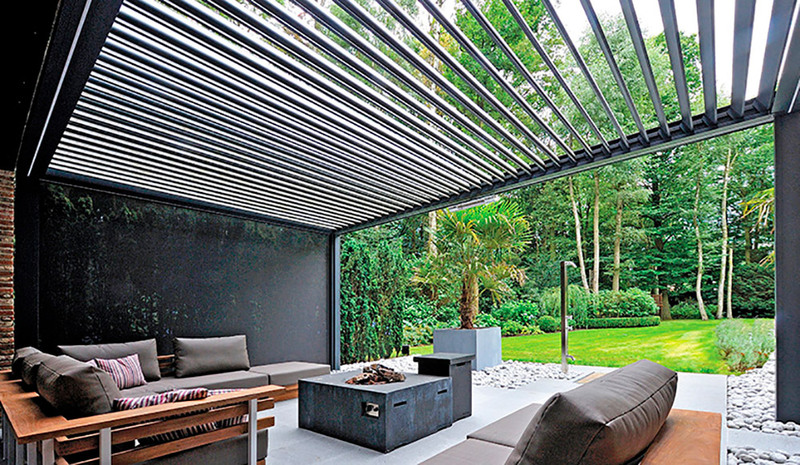 Bioclimatic pergolas are much more than just any solar protection system. Their modern and exclusive design will give your home or business a stylish and unique touch, as part of the whole aesthetic and enhancing it. Their adjustable slat system allows us to adjust the light according to the time of day, capturing it or protecting us from the rays, and always favouring a proper ventilation of the space. Not only will they protect you from the sun, their drainage system also protects from the rain, giving it the feel of a covered porch. And there’s more. For visual or solar protection, vertical roller blinds can be installed on all four sides, achieving a peaceful sense of privacy. For greater comfort and convenience, you can add lighting in the slats and the perimeter of the pergola, as well as heating and a sound system. If our customer wishes, we at SunPro can also incorporate glass enclosures in the panels. 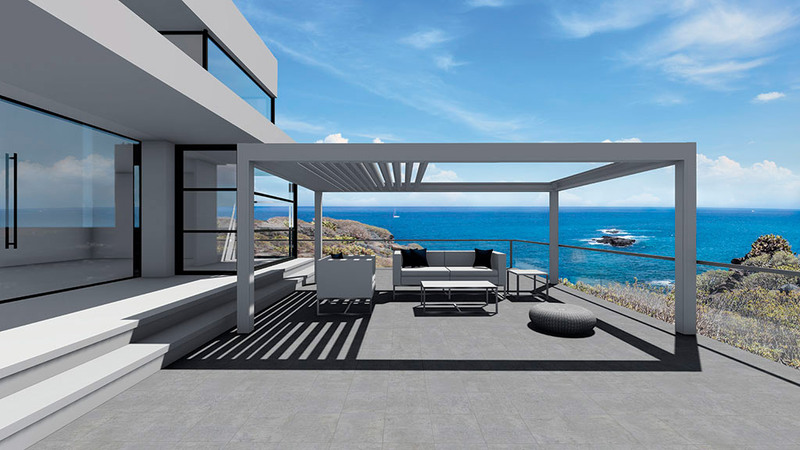 SunPro is a distributor of Brustor products, worldly renowned for their bioclimatic pergolas, and always offering the latest designs and the highest quality. Visit our showroom to see one of these pergolas in person; the way they function, their attention to detail and all the options available. We will be delighted to assist you.